S4GA’s 2019 Exhibition Year will start with participation in the largest Asian trade fair dedicated to airports industry – Inter Airport South East Asia’19. In 2019, Inter Airport SEA will gather over 190 world’s leading airport equipment suppliers and visitors from all continents. The attendees will be able to meet with thousands of decision-makers from the airport industry during the Show. We invite Airport Systems Integrators, Equipment Suppliers, General Contractors, and Aviation Consultants to our booth. 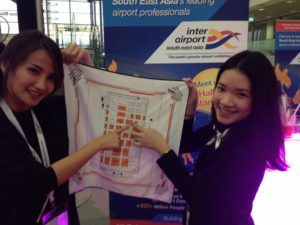 TO EVALUATE our offer for your airport project even during the Show. We will be happy to see you at our booth anytime during the Expo. However, to make our meeting the most effective, we suggest making an appointment in advance. To choose suitable day and time, please book an appointment.